Okay, so this part of the process felt a little deviant, somehow. You literally give the cupcakes a shot of grenadine with a syringe! These flavor-injectors are normally used for injecting marinades into Thanksgiving turkeys, but I love using them to give cupcakes a sweet-hit of flavor in their centers. The syringes are inexpensive, and you can find them online here. Most of the syringes have metal needle-tips, but if you can find one with a plastic needle, those work fine for cupcake injecting and are less dangerous to come across when rifling in your utility drawer. The Shirley Temple Black cupcakes were treated in the same manner. Instead of grenadine, they each got a shot of Kahlua in the center. These were so good! They might be my favorite of the two. Maybe. It's hard to say for sure, so more taste-testing is in order (wink). One thing is for sure, nothing beats biting into one of these and finding that there's more to offer than just cake inside. The injected syrups keep the cake so moist and flavorful. An important thing to note: Don't overfill the cakes with grenadine or Kahlua. 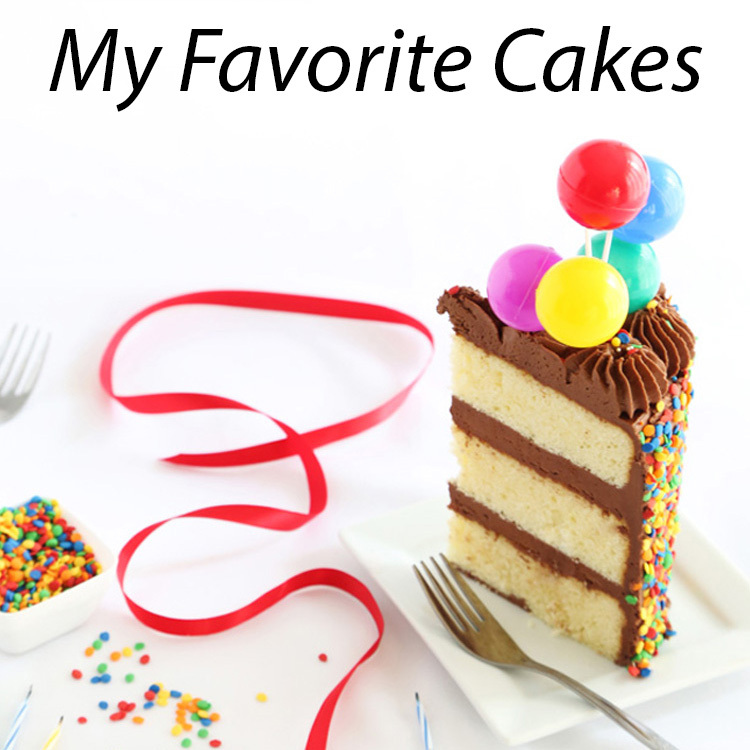 I used just one teaspoon in each of my cakes. 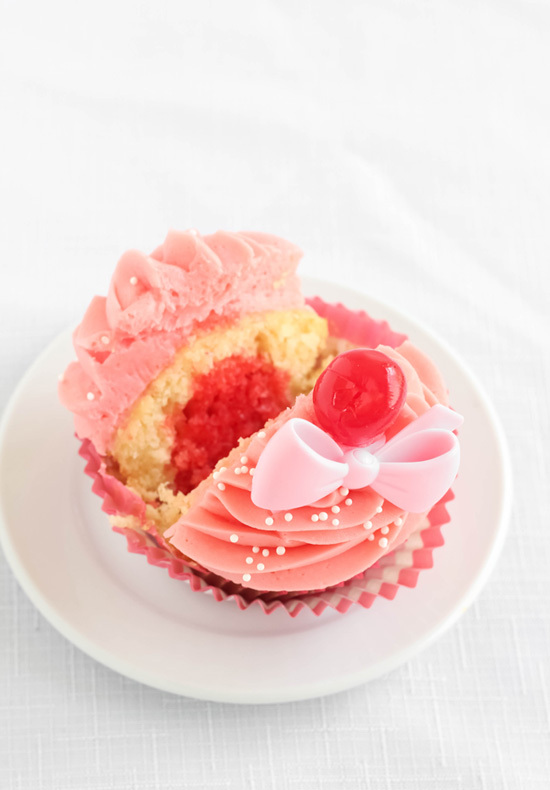 If you use too much the liquids will completely soak through the bottom of the cupcake liners and then you've got a mess on your hands. Or on your pretty white tablecloth. These are really easy to make, and if you don't have a flavor-injecting syringe, you can cut a little divot in the tops of each cupcake and drizzle syrup in with a spoon. When party-time rolls around, I'll definitely serve these cupcakes alongside their cocktail counterparts. I've included the drink recipes in this post if you'd like to do the same. 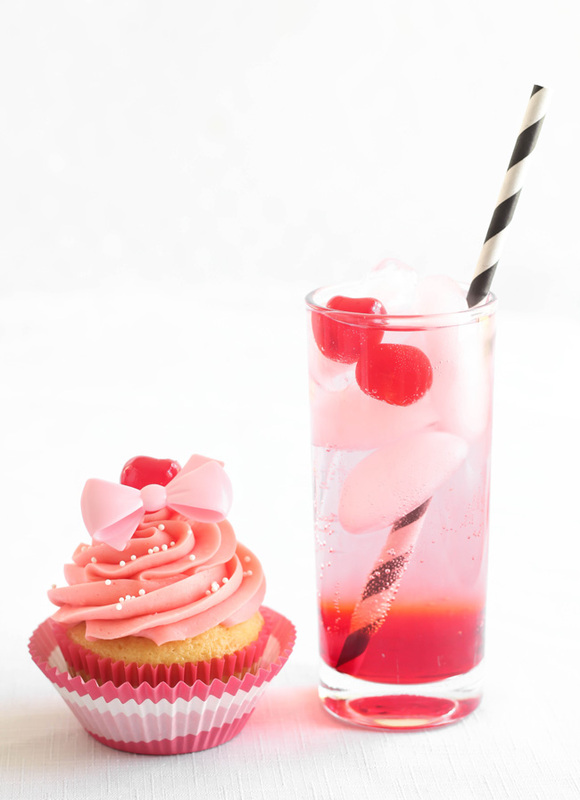 This recipe is written assuming that you want to make both Shirley Temple and Shirley Temple Black cupcakes. 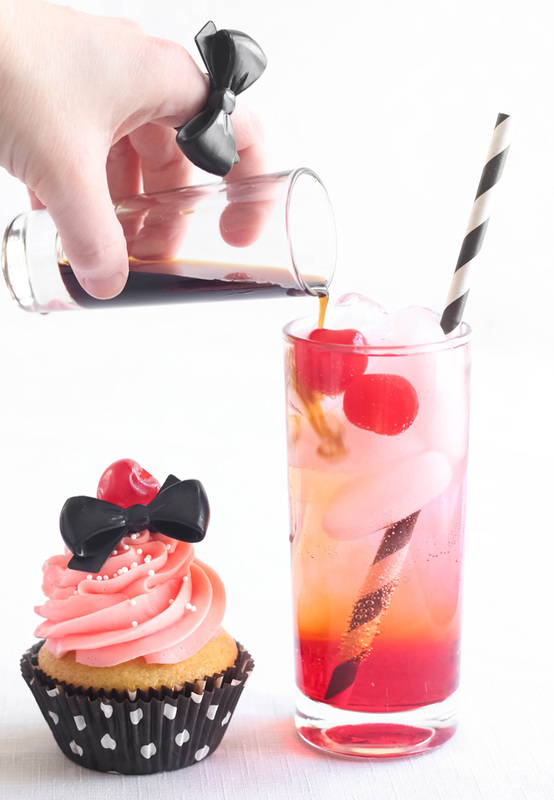 If you want to make an entire batch of original cocktail Shirley Temple cupcakes, just replace the Kahlua with grenadine, and for an entire batch of Shirley Temple Black cupcakes, vice-versa. I like to give my cupcakes a stately crown of frosting but not everybody is into that much on one cupcake. Feel free to half the Grenadine Buttercream recipe. Line one cupcake pan with 12 paper liners and another cupcake pan with three liners. I used 8 pink liners for the regular Shirley Temple cupcakes and 7 black liners for the Shirley Temple Black cupcakes. Set aside. In the bowl of a stand mixer fitted with the paddle attachment, cream together butter and sugar until light and fluffy. Add eggs one at a time beating well after each addition. Whisk together flour, baking soda, baking powder and salt, set aside. In a medium bowl, whisk together 1/2 cup Sprite soda and 1/2 cup sour cream (mixture will fizz and bubble a little). Add flour and Sprite mixture alternately, beginning and ending with flour. Fill cupcake papers with 1/4 cup level measures of batter. Bake for 17-22 minutes. Let the cupcakes cool completely. 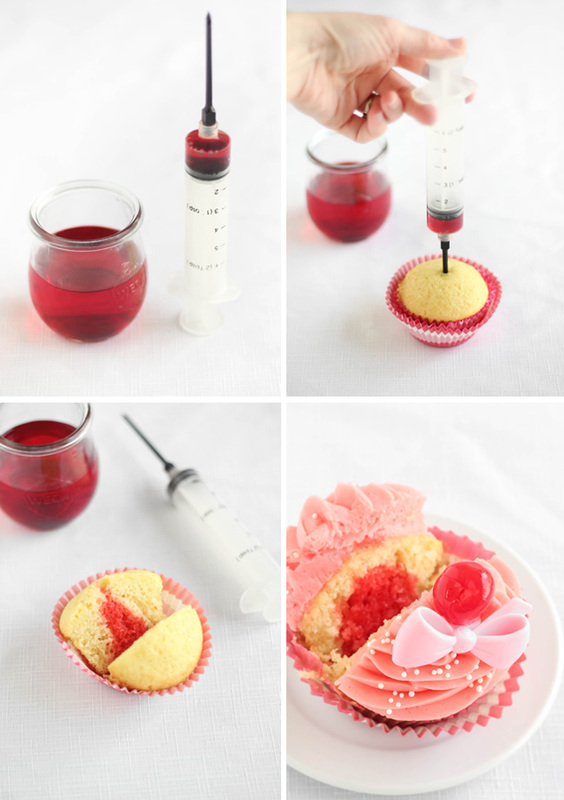 When cupcakes are cool, fill a flavor injecting syringe with roughly 1 teaspoon of grenadine. 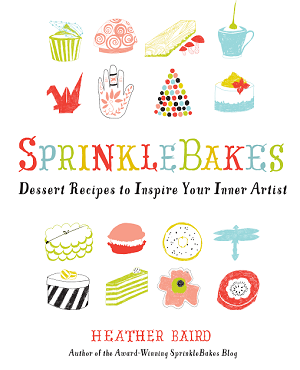 Place the needle in the center of a cupcake and push the plunger as you gently pull the needle up and out of the cupcake. Repeat with 7 more cupcakes. Wash the syringe and repeat process with Kahlua and remaining cupcakes. Set cupcakes aside while you make the frosting. Mix together the butter and confectioners’ sugar in a stand mixer fitted with the whisk attachment. Begin mixing on low speed until crumbly and then increase to high and beat for 5 minutes. Reduce mixer speed to low and add the grenadine 1 tablespoon at a time; add more grenadine to taste if desired. Beat frosting again for another 5 minutes until light and fluffy. Scrape down the bowl and mix again on the highest setting for 3 minutes. If you find the buttercream is too stiff, you may add milk or heavy cream 1 tablespoon at a time until the mixture is piping consistency. 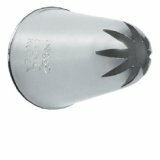 Transfer the frosting to a piping bag fitted with a large closed star tip, such as Ateco #856. 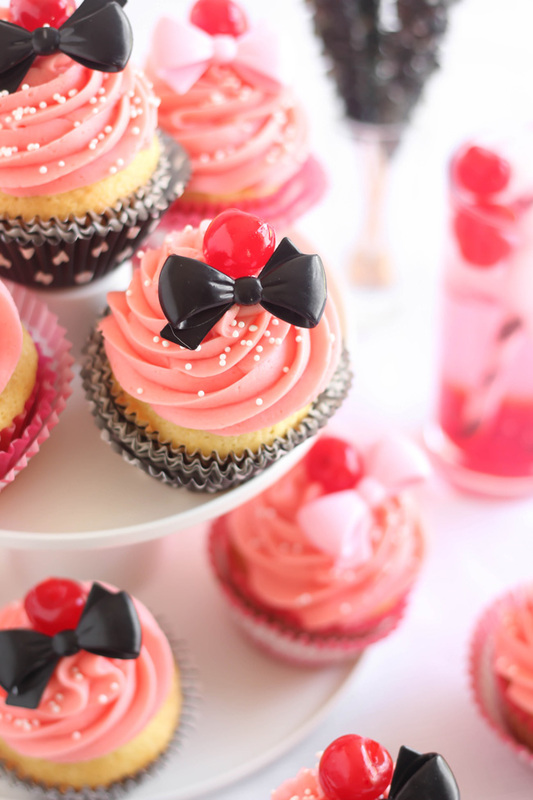 Pipe frosting onto each cupcake in two large swirles and top each with a maraschino cherry. Sprinkle over the white nonpareils. Store cupcakes loosely covered in plastic wrap or in a plastic cupcake-keeper. Pour the lemon-lime soda into a Collins glass filled with ice. Add grenadine. Garnish with a cherry and a fancy straw. Stir drink just before sipping. Shirley Temple Black variation: Add 1 to 2 oz. Kahlua and an additional cherry. Heather, these are SO CUTE! I loved Shirley Temple movies and the beverage when I was a kid. 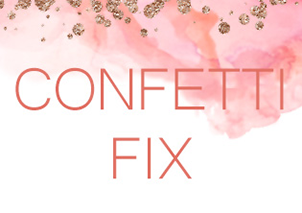 Love those bow-ring toppers, too. So pretty! I'd love to taste these cupcakes. Oh wow, "injecting" that syrup into the cupcake is such a good idea! I reckon you could do that with lots of flavored syrups (I'm thinking rum syrup for example). These are so adorable! I like the squirt of grenadine! OMG I'm dying over the cuteness! I need an excuse to make these for my pink-loving-princess nieces!!! I have never heard of a Shirley Temple Black! I have only ever added vodka to a Shirley Temple, I think I was led astray!!! What a cute idea! I remember drinking about ten Shirley Temples at a wedding when I was a kid and then running around like a maniac before crashing. Must. Exercise. Restraint. These cupcakes are SO cute! You did an amazing job injecting a little bit of color into each cupcake too! I've never had a Shirley Temple Black before but now I want to try one! 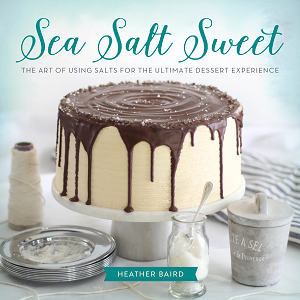 Thanks for the inspiration Heather! Oh gosh, these are like painfully cute! And a grenadine buttercream?! BRILLIANT! Not only are these cupcakes gorgeous, I imagine the flavor is amazing as well! The injection technique is amazing, my mind is running with all the possibilities! OMG are these cupcakes adorable!!! i loved shirley temples as a kid. these look delightful! 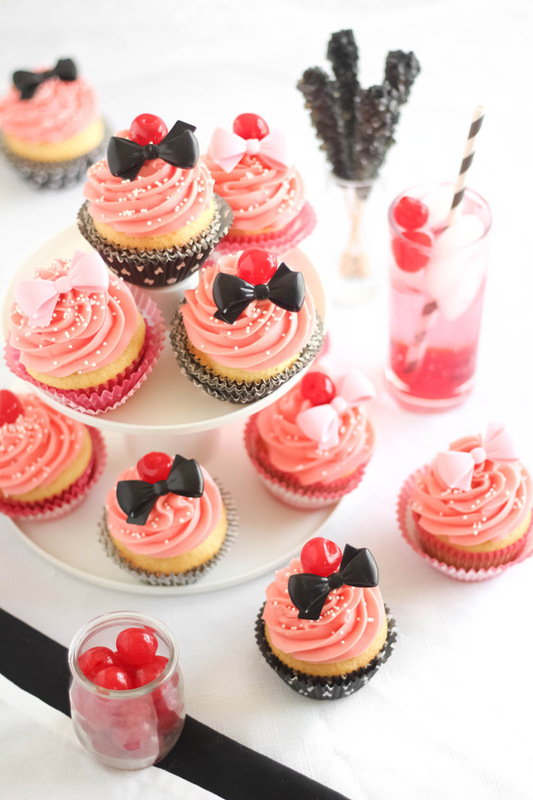 Love grenadine, bowties and these cupcakes! Oh my God! Amazing cupcakes, looks so yummy! Where can I get those cute little bows? I didn't see any source posted. Thank you! I love this idea! Shirley Temples were my favorite as a kid! Delicious! 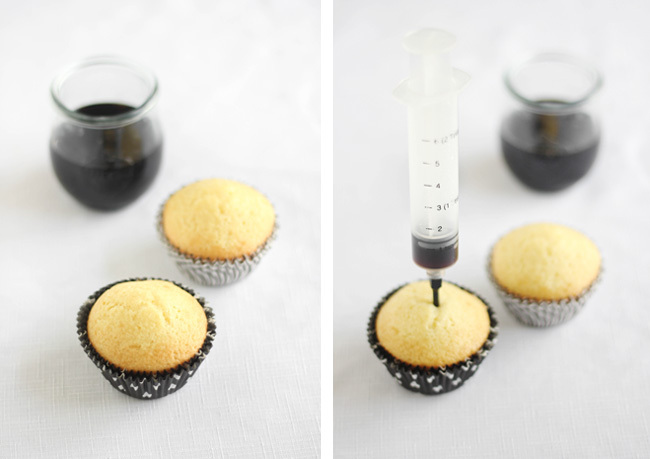 Flavor injector for cup cakes = genius!! These are so pretty! Amazing! I have had Shirley Temple Cupcakes on my "make list" for ages, but there is no way I could have done them as perfect as you did! I love your blog. I use to take a look when I can because I think you are creative. I have a pug too and a bulldog, and my blog has the name because of them. Super cute and nostalgic for me. PS Did you make the bow tie? If so, inquiring minds want to know. :) Thankyou for sharing your artistry with us ! I'd use it in my sugar cookies! Cutest cupcakes ever! Love the concept! Made a spin off of your recipe for my sisters 21st birthday, the sprite cake was a huge hit. Very moist and delicious. Thanks for the great recipe! Thank you so much! I'm making a cake and wanted a raspberry butter cream but could find no raspberry extract so I decided in a bottle of grenadine instead! Hopefully it works out well! 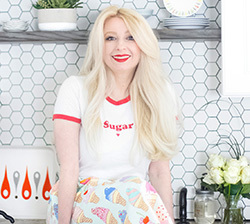 i was wondering if it's possible to use yellow or white cake mix? Hi Cherry, you can use yellow cake mix in place of the scratch recipe. Thanks for asking! Wow these cupcakes look beautiful! What a creative recipe. I haven’t had a Shirley Temple probably since I was before 21!!! !